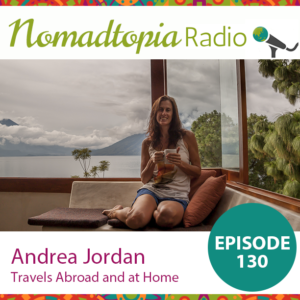 Andrea’s work as a business coach and strategist allowed her to spend the last 20 months traveling around Latin America. Eventually, she felt it was time for a change, and she’s recently headed back to her home country, New Zealand, to continue the adventure. Tune in to hear all about how this decision came about, her tips for volunteering in animal shelters on the road, budgeting for your business, and tons more.